Bankruptcy is one of the cornerstones of MSG’s practice. Since our inception, one of our specialties has been the analysis of the complex financial issues that arise in bankruptcy proceedings. We have analyzed dozens of bankrupt firms and have been engaged by a broad range of parties including, but not limited to, creditor committees, common shareholders, and bankruptcy trustees. 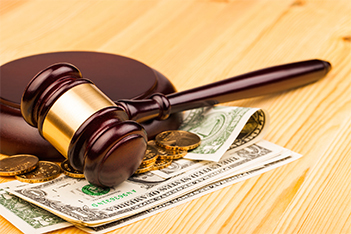 We have worked on many of the largest bankruptcies in U.S. history and have frequently provided our services in cases involving allegations of fraudulent activity and/or fraudulent financial statements. All of our Senior Staff and many of our experts have been involved in multiple bankruptcy cases spanning a broad range of complex issues. These include such topics as fraudulent conveyance, preference, solvency, capital adequacy and ability to pay debts as they become due. Our Senior Staff and experts have authored numerous articles regarding financial topics in bankruptcy, often focused on valuation and solvency. Professor Israel Shaked, MSG’s Managing Director, is a contributing editor of the American Bankruptcy Institute Journal. Our extensive experience in the field of bankruptcy allows us to tailor our services and the composition of our project teams to the needs of each particular engagement. A paper and packaging company filed for bankruptcy protection following one of the worst recessions in U.S. history. MSG was retained to analyze the reasonableness of the value assigned to the company in its plan of reorganization. Working closely with an industry expert, MSG valued the company and presented opinions at a confirmation hearing in which four different valuation experts testified. A floor-covering manufacturer facing legacy asbestos liabilities announced a plan to file for a “pre-packaged” bankruptcy that would allow the company to establish a separate trust to handle asbestos claims. The trust would be funded with cash, a complex note issued by the company, stock in the reorganized company, and the proceeds of the company’s insurance policies. MSG was retained to value the note to be contributed to the trust and to provide opinions regarding the company’s solvency, capital adequacy, and ability to operate as a going concern. A distribution company undertook a refinancing as part of a recapitalization plan. The company’s then current line of credit, provided by a major money center bank, was retired as part of the refinancing. Shortly after the recapitalization, the distributor filed for bankruptcy protection. The bankruptcy trustee alleged in a lawsuit that the payment to the money center bank constituted a preference payment. MSG was retained to analyze the solvency of the distributor. We also assessed the company’s performance, analyzed the industry, and rendered opinions regarding its capital adequacy. A diversified utility/merchant energy company in Chapter 11 filed a plan of reorganization. A hearing was held, stretching over three months, that centered on the business enterprise value of the company. Testimony was heard from multiple valuation experts representing different parties impacted by the plan. MSG was engaged to value the company and provide opinions to the court. MSG’s expert provided multiple days of courtroom testimony regarding valuation metrics, assumptions and conclusions. A publicly-traded operator of a large chain of convenience stores was taken private in a leveraged buyout. Shortly after the LBO, the company filed for bankruptcy protection. The bankruptcy trustee filed a lawsuit against the selling shareholders, lenders, and other parties involved in the transaction, alleging the LBO constituted a fraudulent conveyance. MSG was retained to determine whether the company was solvent and adequately capitalized immediately following the transaction as well as to determine whether fair consideration was given in the transaction. As part of our analysis, we also reviewed and assessed the due diligence procedures performed by both the firm that issued the solvency opinion and the investment bankers working on the transaction. In a complex recapitalization transaction, a large European insurance company established a separate entity to acquire the book of business of a domestic property and casualty (P&C) insurer. The P&C business was then operated in a run-off mode. Following the recapitalization, the P&C business experienced an incidence of asbestos claims higher than was actuarially forecasted. When the P&C stopped making payments on its office lease, the property owner and its creditors filed a lawsuit against the European insurer to recover lost rent, alleging the recapitalization rendered the company insolvent. MSG valued the P&C business to test for solvency and projected the P&C’s cash flows to determine if the insurer had adequate capital. Included as part of the analysis was a review of the reasonableness of the projected asbestos claims. A publicly-traded nursing home operator spun off its real estate holdings into a separately traded Real Estate Investment Trust (REIT). The nursing home operator then leased the facilities from the REIT, thereby creating tax advantages to the shareholders who now owned shares in both the company and the REIT. Shortly after the transaction was consummated, the nursing home company became financially distressed and could no longer make the lease payments owed to the REIT. The company filed for bankruptcy protection and during the reorganization process threatened to sue the REIT. MSG was retained to analyze the economics of the spin-off transaction and to assess the likelihood of the company prevailing in court. We analyzed the transaction and developments in the industry, forecasted cash flows, and valued the company. Within a few months after raising over $100 million in a round of debt financing, a financially distressed developer of composite materials filed for bankruptcy protection. An investor group that often invested in high-risk companies participated in this round of financing and brought a lawsuit against the company claiming the company’s problems were not fully disclosed. MSG was retained to assess the allegations made in the complaint. As part of our analysis, we reviewed the company’s disclosures made over several years as well as the due diligence undertaken by the investor group. The operator of a small casino on the Gulf Coast issued bonds in order to fund the construction of two casinos; one on the Mississippi River and the other adjacent to the existing Gulf Coast facility. The casinos were constructed, but shortly after the completion of the projects the company filed for bankruptcy. The construction firm, as a creditor, sued the company, alleging that the casino operator was insolvent at the time of the issuance of the bonds. MSG was engaged to study the industry and competition in the region and to analyze the issues of solvency, fair consideration and capital adequacy. The U.S. textile-manufacturing subsidiary of a British firm filed for bankruptcy protection. The U.S. subsidiary sued its parent company for allegedly failing to provide it with adequate capital to operate. MSG performed tests for solvency and capital adequacy, and also examined the impact that the North American Free Trade Agreement (NAFTA) had on the subsidiary. A high-profile leveraged buyout firm acquired a national diet and nutrition chain. Shortly thereafter, the company raised its franchise fees. The franchisees claimed that the fee increase was a result of the leveraged buyout placing the firm into financial distress, and sought to recover damages. MSG was engaged to analyze the factors which caused the firm to become financially distressed. A well-known Hollywood motion picture studio and a European studio were merged through a complex leveraged transaction involving worldwide licensing arrangements and asset transfers. An independent motion picture production company, whose lucrative series of films were distributed by one of the two merged companies, claimed that as a result of the merger it suffered significant damages. MSG was retained to determine whether the combined firm was insolvent or undercapitalized following the merger. During the bankruptcy reorganization process for a manufacturer of parts and supplies used in the automotive industry, the bankruptcy trustee challenged the fees charged by the adviser providing financial consulting services. MSG was retained to review and evaluate the work performed and fees charged by the creditor committee’s financial adviser. A private partnership that developed office space in the New England area became financially distressed shortly after the completion of one of its projects and in the midst of a downturn in the office leasing market. MSG was retained to analyze the solvency and cash flows of the partnership. A trucking company was spun-off from its parent company in a management-led leveraged buyout. Shortly after the LBO, the company was recapitalized. Following this transaction, the company filed for bankruptcy protection. The bankruptcy trustee sued the investment bank and lead-lending bank, seeking damages. MSG was retained to determine whether the company was solvent and adequately capitalized immediately following the transaction. The owner of an air transport courier sold the firm to another cargo operator in a leveraged buyout. Shortly thereafter, the air courier became financially distressed and then filed for bankruptcy. The estate of the bankrupt company filed a lawsuit against the former owner seeking to recover the amount paid to the owner in the sale. MSG was retained to analyze the LBO and the actions taken by the new management group following the transaction, and present our findings at mediation. A management and services company held ownership stakes in several companies, among them a recreational products and apparel company. This operating company became financially distressed. A creditors’ committee was formed. After making preliminary investigations, the committee threatened to sue the management and services company and its owner personally, alleging that some of the transactions between the operating company and the management and services company resulted in a fraudulent conveyance. MSG was engaged to evaluate these transactions.